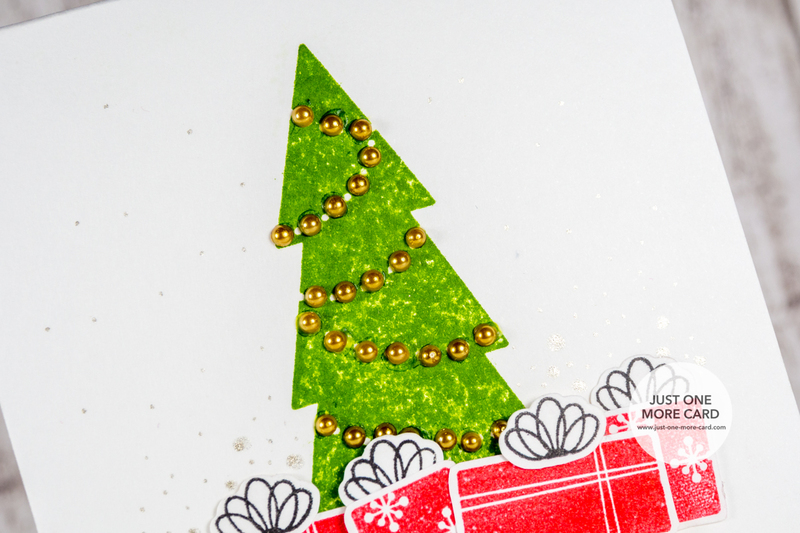 Not long anymore, crafty friends, and then the holidays are upon us! I've seen that some of you have already put up and decorated the tree, so that's what my card is about today. Short anecdote: in my family, the tree is usually put up the weekend before christmas only, and since I've moved away, my parents wait to put it up with me the day before christmas. Last year, I didn't make it home because I was sick, and my parents left the tree standing until mid-February when I could finally come and see them! I hope that this year, I won't catch a last-minute cold that will prevent me from flying and I'll be able to enjoy decorating the tree with my family. 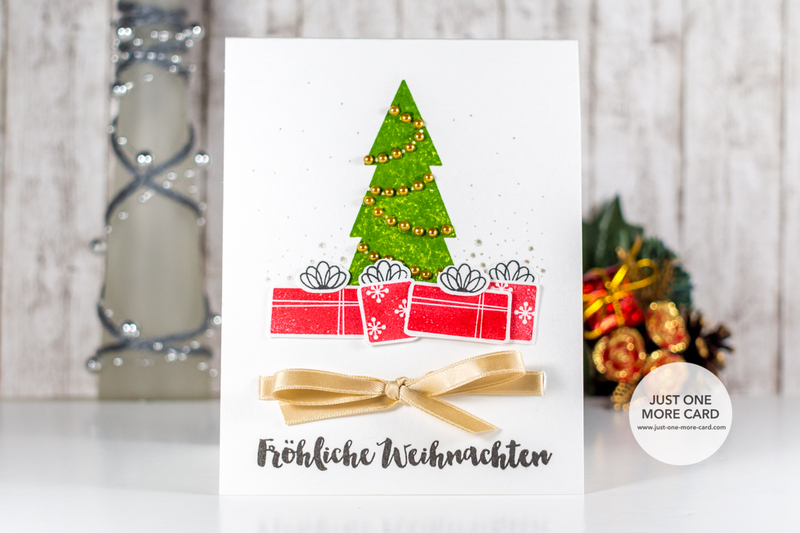 Sorry for the German sentiment – I was in dire need of a card with a German "Merry Christmas", otherwise I'd have used one of the fantastic sentiments included in the My Favorite Things "Trim the Tree" stamp set. I hope you enjoyed today's simple project. Have a fun weekend and see you again soon!